Its that time of the year again – the time for making goals and resolutions, grand schemes and plans. To get you on the road to being a goal getter, I’ve made these oh so cute A6 calendars that you can print and add to your home or planner. Simply click on the download link below and print on your desired paper. For the best results, print on white cardstock. Handwritten notes are making a comeback, and whats cooler than writing a handwritten note, than writing and sending one on a custom letterhead! I brush lettered a little aloha (pun totally intended) so that you can share some smiles with your friends and family. To download this customizable letterhead, click the link below and follow the tips for the best result. I wish you the best and hope that your snail mail brightens someones day! 2 – Change the wording to customize the letterhead for you. You can also make multiple variations if needed. 3 – Save your file, and you’re ready for printing. Helpful Tip: Print on kraft paper, white cardstock, or any light-colored paper of your choosing. Sidenote: no color printing means a SIGNIFICANT SAVINGS in printer ink if printing at home or printing costs if printing at a copy shop. My adventure goal for 2017 was to do 40 hikes – the added challenge was no repeats of trails already successfully completed. Unfortunately, there is one day left in the year and Iʻve only completed 38 hikes (no repeats) but 52 in total (counting repeats) – so goal reached (sort of). The point, however, is that my entire life I’ve lived on this island and there were at least 29 places I had never ventured to before. Adventure isn’t far, you just need to go explore. This will be a multi-part series to help anyone looking for adventure if Hawaiʻi is their backyard. One of my adventure partners of 2017 was my 4-year-old godson. He basically did these hikes in its entirety on his own with no assistance (other than transportation there, of course, haha). My thoughts are, if a 4-year-old can do it, we definitely can. Although it is located in a residential neighborhood, I think this hike is an ideal short adventure. The 2-mile trail has a moderate gain in elevation and ends on one of the lower ridges overlooking Mānoa valley. Another plus to this hike is that every time I’ve been to this trail (at least 5 times in 2017) there have been few or no other hikers, making it perfect for taking my trusty sidekick, Kahi. This moderately trafficked loop trail featured a gorgeous array of ferns (I’m a huge lover of ferns) and had quite a few areas that were very picturesque. 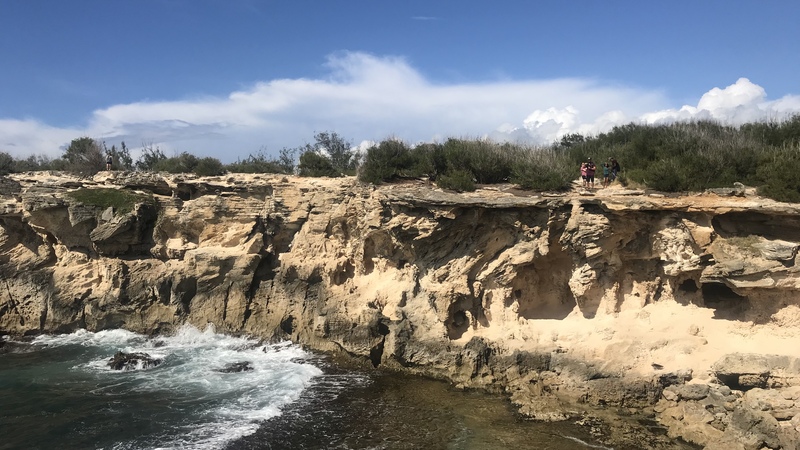 The middle of the hike is where you will see the view of our gorgeous highway that connects the southern part of the island to the north that sits in the middle of one of the most beautiful valleys. If I were to do this trail again, I’d probably only do the first half (starting clockwise) because I felt like the second half was just not worth the effort and there was nothing really worthwhile in comparison. Be careful and never hike alone. Three days after we did this hike, an older woman that went hiking later in the afternoon got mugged. Not cool. This trail was surprisingly wonderful. Based off of its name, you expect it to be a leisurely stroll but in actuality, there is a moderate yet slow gain in elevation and a great view on an off-shoot at the top (depicted above). Getting to the view does require some effort but I think it was totally worth it. For a trail that is less than a mile long, I found that I got everything and then some on this unassumingly gorgeous trail. This trail is everything you expect it to be as it is an Arboretum. There are tons of native plants that are conveniently identified with signs featuring their scientific name. The great part of the arboretum is that there are tons of offshoots for you to explore and it woulndnʻt be a surprise if you spent the entire day there. One of my favorite offshoots of this trail is Aihualama Falls. Technically there is a $5 donation to enter the grounds – $5 to go towards the upkeep of a magical place tucked in the back of Mānoa? Why not? 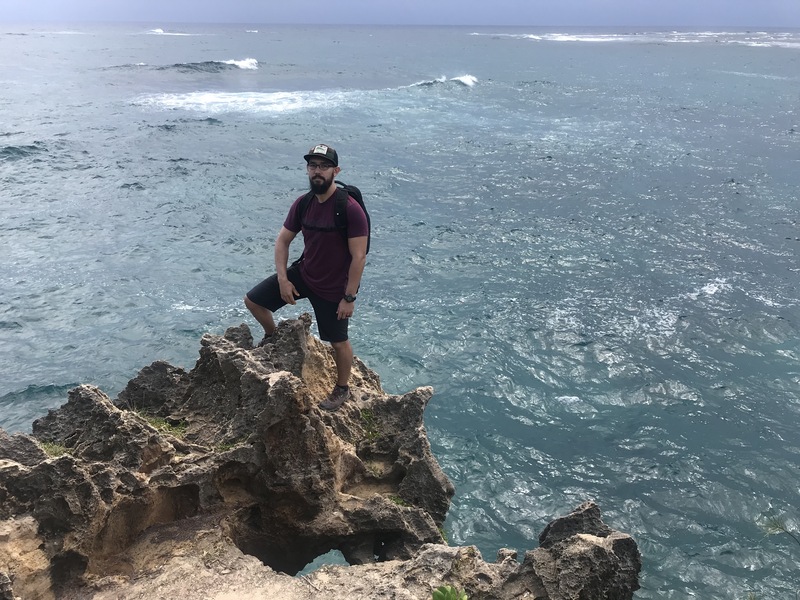 This hike is more of a long nature walk, however, Iʻve listed it because not only is it rich with culture, but it can be used as the beginning to the backside of Haiku Stairs (also known as Stairway to Heaven). This “trail” is an old carriage road, so along the way, you will run into several old bridges and worn stone roadways. The Mahaʻulepu Heritage Trail goes from Shipwreck Beach by the Hyatt Regency Kauai to Punahoa Point (3.7 mi.) but being that I was nearing the end of 2017, I was trying to choose trails that connected to other trails so that I could add more hikes to my 2017 40 hike goal list. I ended up adding the trail to Makauwahi Cave and connecting it to the trail to Kawelikoa Bay for a grand total of 6.1 miles (according to my AllTrails App). Let me just put this out there and say that this trail was breathtaking. I’ve been to Kauai at least 40 times in the last 5 years, and this by far was my best adventure yet. The trail starts off at Shipwreck beach where there is tons of parking that goes with tons of tourists. I was a bit weary for the first mile because of the amount people on the trail, but afterward, there were fewer people willing to venture beyond. 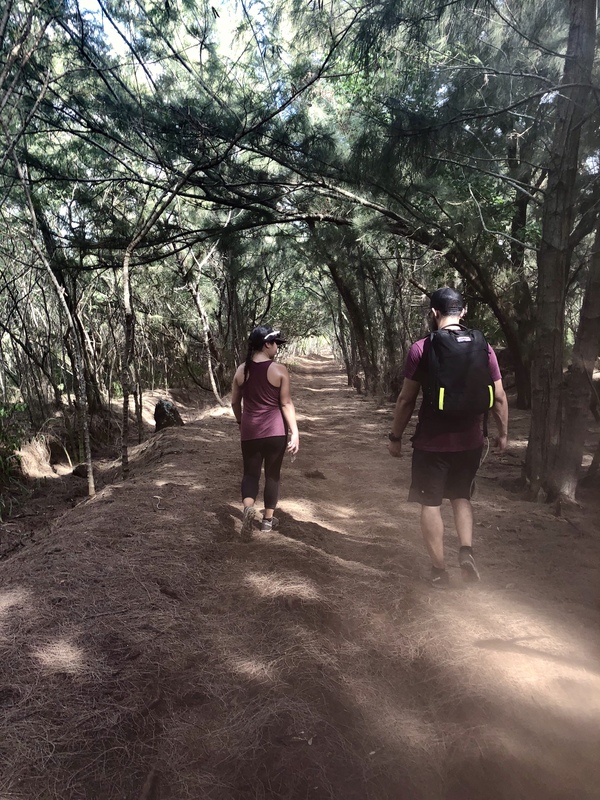 Essentially, you follow the coastline until the end but you do need to walk through the Poipu Golf course and a heiau (not my favorite part – honestly, I sprinted through). If I could’ve I would have added an extra hour just to take pictures, but we were racing against the weather (in true Kauaʻi fashion). Meet Kahi. Apparently her milkshake brings all the boys to the yard. She chews really loud, leaves her junk everywhere, and thinks no one can tell she snuck off to take a nap in the middle of the day. Just kidding – but not really. Kahi hears me out all the time and helps me to process my thoughts and how I’m going to get things done. Kahi’s super power is the ability to absorb negative energy and frustration and turn it into poop. She’s so patient and understanding, and is even willing to model from time to time (obviously, not this time). One of my favorite pastimes (and Kahi’s obvious least favorite) is to take popular songs and put kakis name in it – this is our current jam. Here’s another great starter trail. It’s a well-maintained hike with Plus points: this hike is great for the little hikers. Be sure to get there nice and early unless you want to compete for parking as it shares the starting point for both the Makapuʻu Lighthouse Trail and the Kaʻiwi Shoreline Trail/Pele’s Chair. Follow the paved path to get to the top and enjoy going on some of the offshoots for some Instagrammable spots. Overall, this was a great day to go hiking despite the fact that it was very windy and overcast. Bryce was a real trooper and had a ton of fun running along the path and looking at the ocean. I’d definitely recommend this hike for anyone of any age – as always, be prepared no matter how easy the hike may seem. It’s always better to be safe than sorry! • December – May is whale watching season. Check online to see if whales are in the area for an opportunity to spot a whale! Get on H-1 East and take a right on Makapuu Lighthouse Road. Find parking in the provided stalls, or along the road leading to the parking lot. Be mindful when parking being that this is a popular hike. I’ve gone on this hike several times to find inconsiderate people that double park or don’t pull up close to the car in front of them when parking on the gravel. Follow the paved path until you reach the top.